A pilonidal cyst is an abnormal pocket in the skin that usually contains hair and skin debris. A pilonidal cyst is almost always located near the tailbone at the top of the cleft of the buttocks. 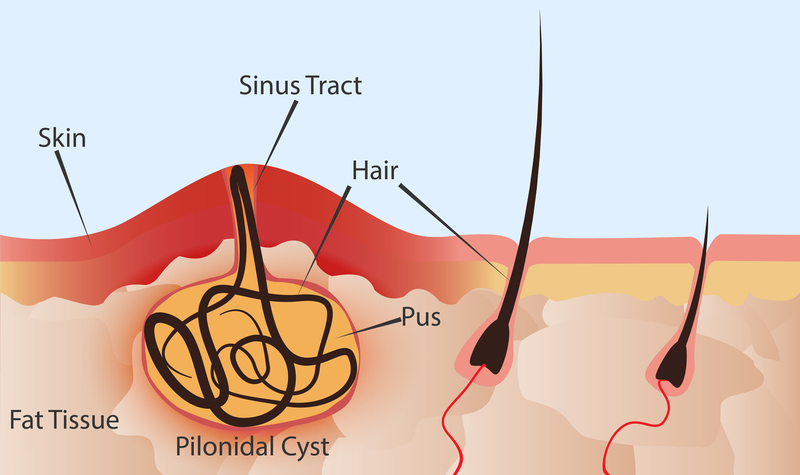 Pilonidal cysts usually occur when hair punctures the skin and then becomes embedded. If a pilonidal cyst becomes infected, the resulting abscess is often extremely painful. Dr. Morgan is the developer of a new laser technique to treat patients with Pilonidal Cysts, previously only cured with invasive, painful surgery that requires an extensive recuperation period. His trial has shown almost a 100% success rate without the difficult after-effects and recovery time.